I had plans for this week, that included a “simple” injection of pain medication on Tuesday to relieve the pain I’ve been experiencing in my neck and upper back, then a week of catching up on business and family paperwork and preparing to celebrate our special son David’s thirty-first birthday. Well, that injection into my cervical spine ended up not being so simple. A procedure lasting only about ten minutes resulted in a leak of spinal fluid and almost a week in bed so I could heal. I quickly learned that God had different plans for my week than I did! God is not the cause of most of the difficult things we experience in our lives, but He works through them to accomplish His purposes. 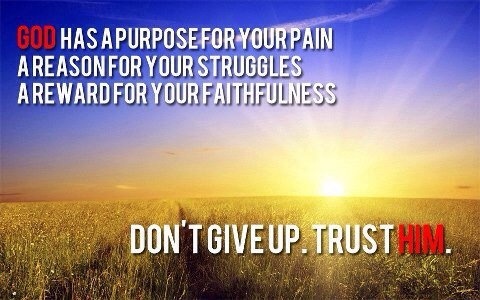 EVERYTHING God allows in the valley is with purpose. Every situation is permitted so that we might grow in faith and become more like Jesus. 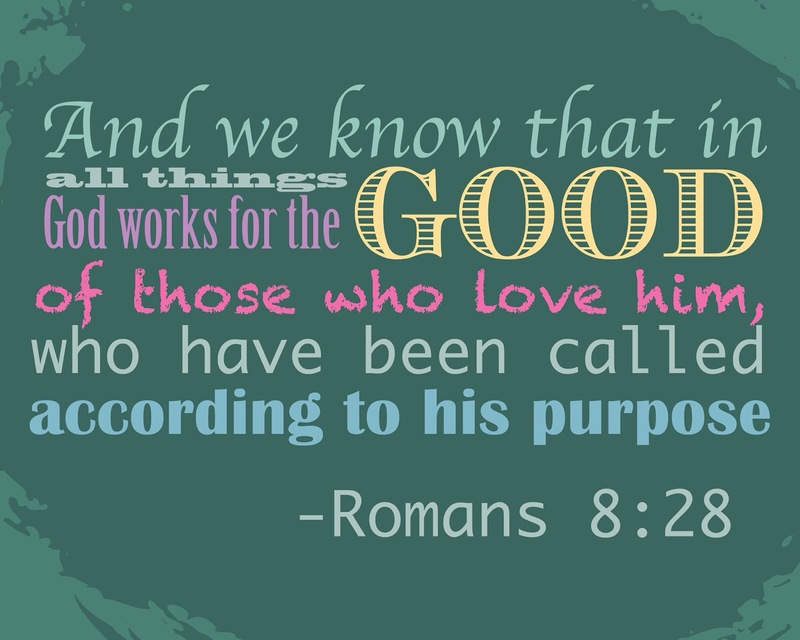 Romans 8:28 tells us that we can know, if we love God, that He is using our circumstances for His purposes. We may not be able to see the finished picture, but we can be assured that Our Lord is at work and that He has the right pieces to produce the image of Jesus in us. God controls the length of our valley experiences. He knows fully what the valley experience will entail, and how long the journey will take to complete His work. Our part is to submit to His process and timing. One of the clearest Scriptures concerning God’s control over the timing of our valley experiences is found in Psalms 105:16-19. “He (God) called for a famine on the land of Canaan, cutting off its food supply. Then he sent someone to Egypt ahead of them— Joseph, who was sold as a slave. They bruised his feet with fetters and placed his neck in an iron collar. Until the time came to fulfill his dreams, the LORD tested Joseph’s character” (NLT). God had big purposes for Joseph, and He knew exactly how to work in Joseph’s life so that he would be ready to fulfill his purpose. The Jewish nation was about to face famine, and Joseph was being prepared to rescue them. Through years of difficulty, Joseph remained faithful. From the time he was unjustly sold by his brothers as a slave and taken to Egypt, God wasted nothing that touched his life. What happened to Joseph could easily have made him bitter, but there is no indication that happened. Even in prison, Joseph recognized that the Lord was with him, and he lived to please God. Everyone around him recognized the grace and favor of God in his life, even while he was still in the midst of his valley of preparation. (See Genesis 37 & 39 for more about this season of Joseph’s life.) Until the time came for God’s purpose for Joseph’s life to be fulfilled, he character was being molded. I do not fully know the purposes for which God is preparing me – I cannot yet see the completed picture. But I do know that My circumstances this week have been a part of His process of preparation. I do know that ALL THINGS that touch my life are being worked for my good by His hands of love. And that is one thing I truly believe!